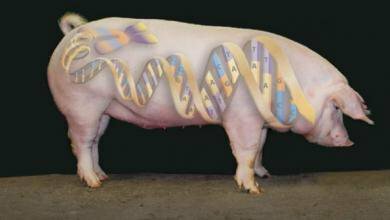 Oncopig Cancer Model is a novel transgenic swine model that recapitulates human cancer through the development of site and cell specific tumors. For decades, cancer research progress has been markedly hampered by the lack of a phenotypically, genotypically, anatomically, and physiologically relevant large animal models. In a nutshell, large animal models of cancer comprise a smaller portion of cancer models than small animal cancer models. Therefore, these large animal models recapitulate transcriptional hallmarks of the human disease while also exhibiting clinically relevant histologic and genotypic tumor phenotypes. This seems to be a great step in cancer research. However, I am just curious about its utility in countries with religious restrictions on pig farming and/pork consumption. Do such countries conduct researches using pigs as animal models? Well, this might be a challenge for Islamic countries although from what I know the religious issues are restricting the consumption of pig as food I’m not sure about research purposes to save the humankind. I agree, it might not be accepted in Islamic countries with strict religious laws. Synthetic insulin from pigs faced similar challenges in certain Islamic countries.